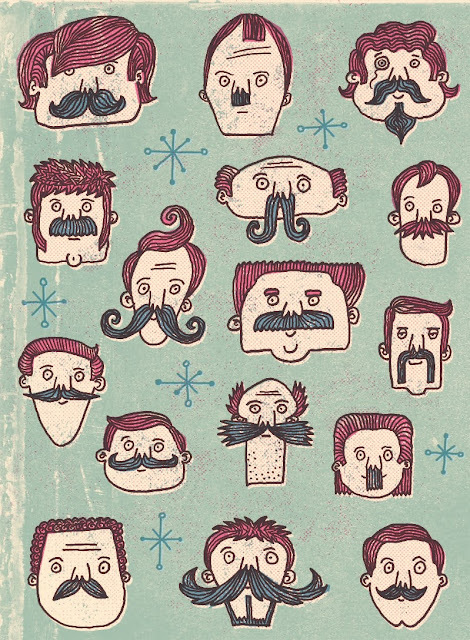 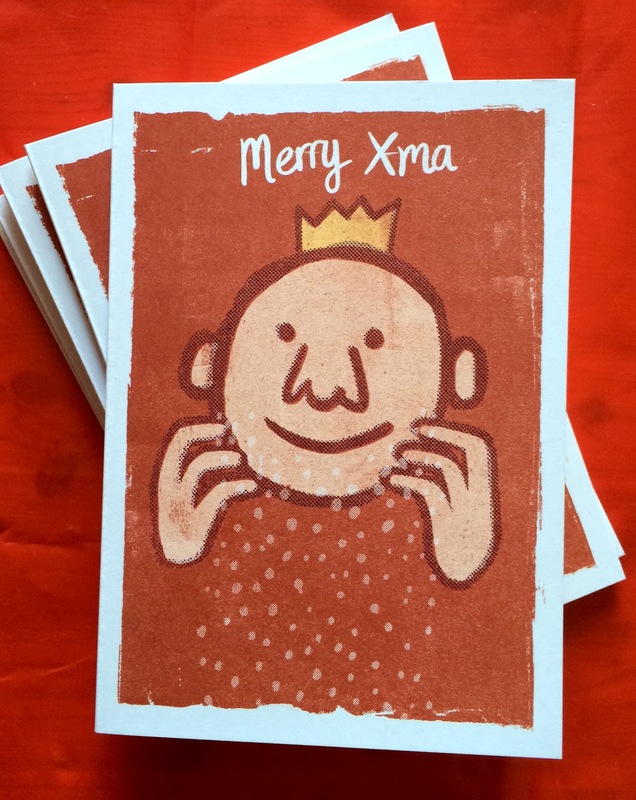 This year's Christmas card – no, they're not snowflakes! 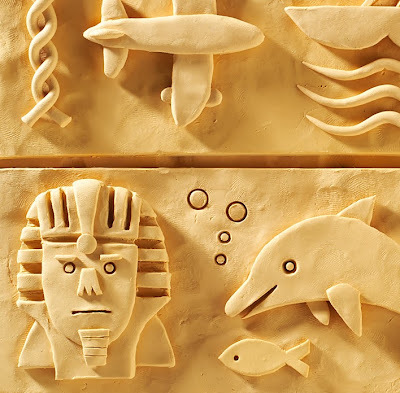 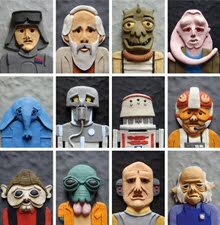 A quick look at a plasticine commission that will be going live in January - more soon. Jose Mourinho talked about nurturing Chelsea's 'beautiful young eggs' and then saw his eggs beaten by FC Basel in their first Champions League tie of the season. 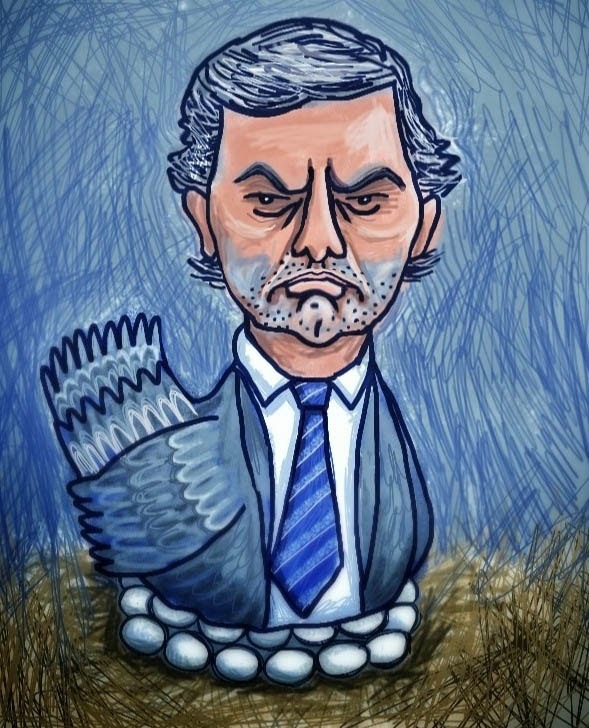 Here's a moody, broody Jose that I've drawn for top football podcast The Illustrated Game. 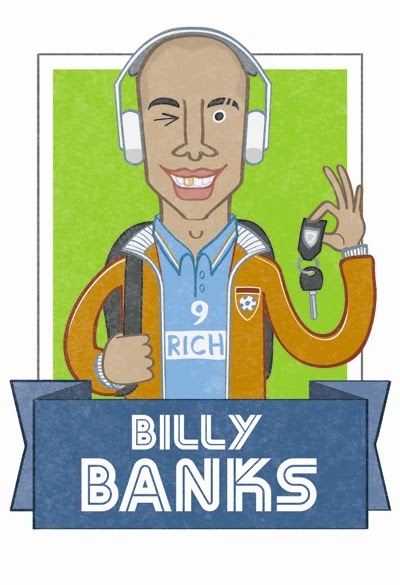 I was honoured to be their weekly guest a couple of weeks ago - listen to the podcast here, and learn about a novel way of exorcising players who are possessed by ghosts. 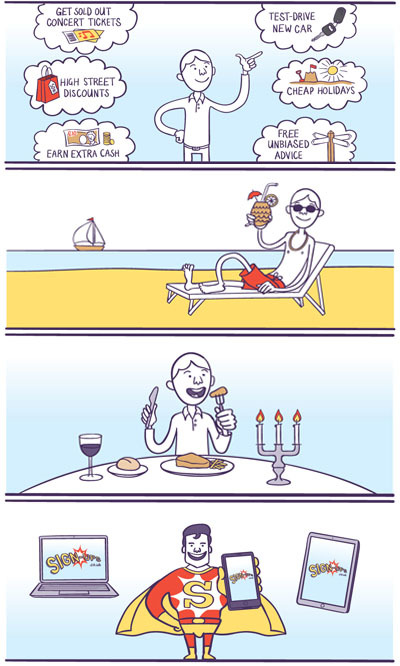 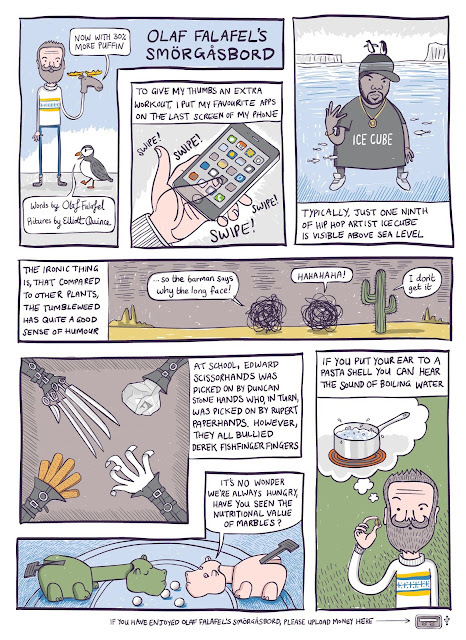 Also, whilst we're on the subject, here's a recent collaboration where I've brought some of Olaf's thoughts to life in the form of a comic strip (click to make big). 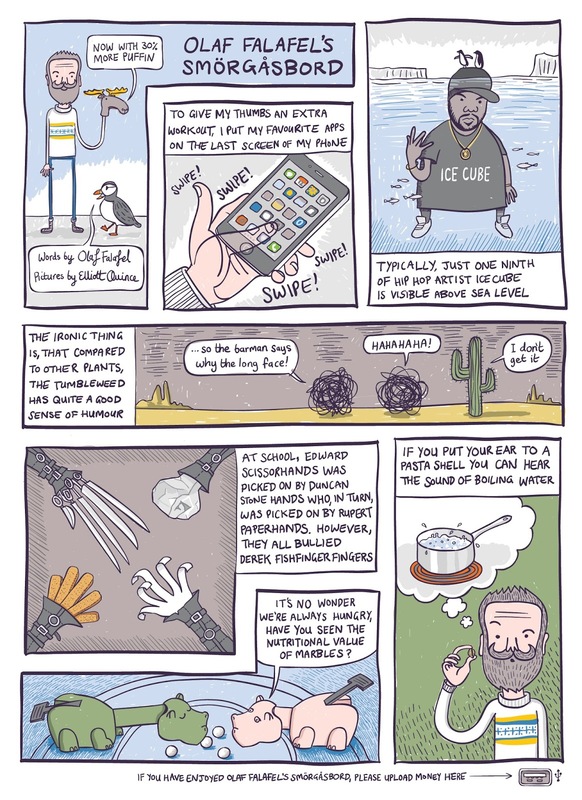 I'm proud to say the strip has been published in the wonderful OFF LIFE comic, click here to view more great strips from other artists and also to view previous issues. 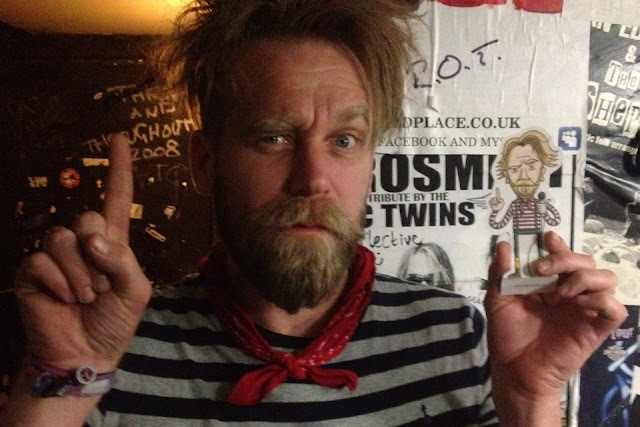 I happen to agree with Tony Law on this one (see his quote on the website) but apparently some people find him quite funny. Either way I created this website for him. 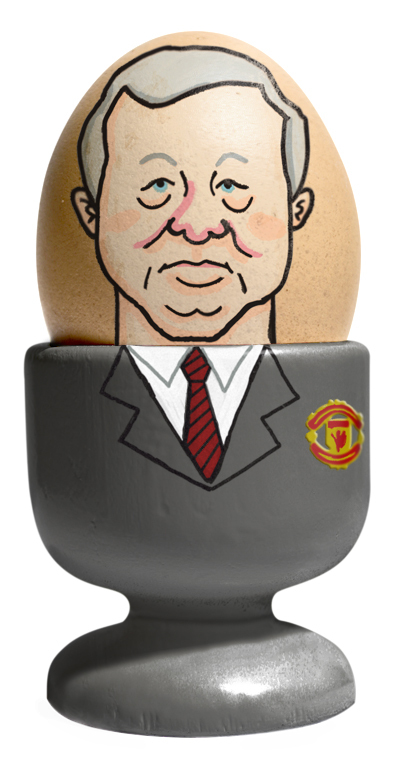 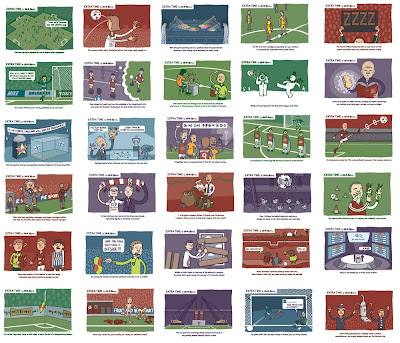 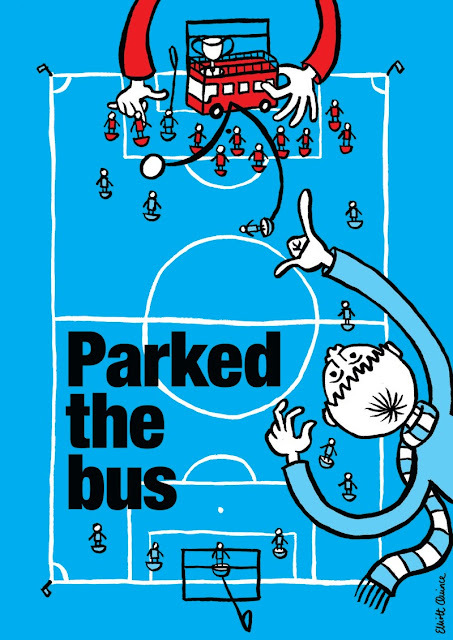 The football season is back, so I thought I'd post up my Extra Time cartoons - click here to view more. 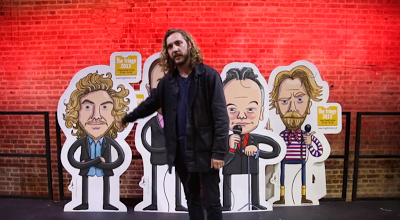 Well, the 2013 Tringe Comedy Festival has sadly come to a close but I've been lucky enough to have been sent this amazing video with a selection of some of the best comics currently on the scene talking about my illustration work. The comedians featured include, Josh Widdicombe, Stewart Lee, Ed Byrne, Simon Evans, Terry Alderton, Richard Herring, Alex Horne, Tony Law and Seann Walsh to name but a few. 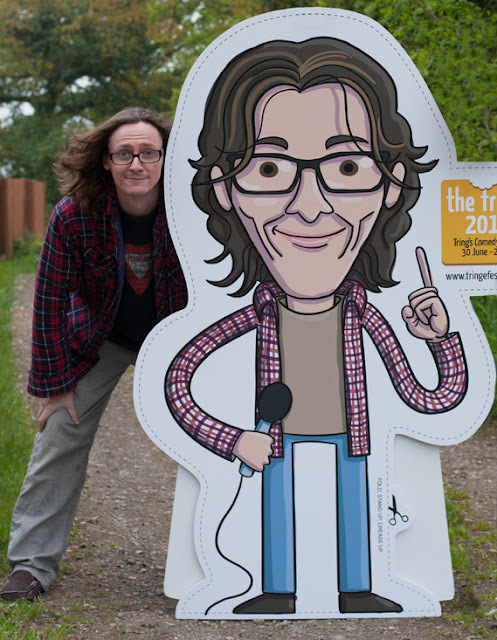 The project was an absolute joy to work on and I'm told that most of the comics are now in possession of their respective life-size stand-ups! 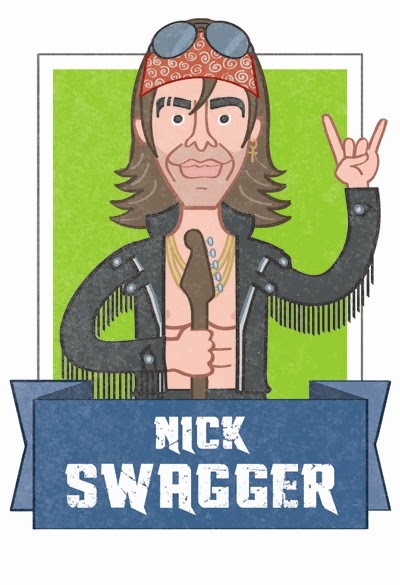 Special thanks to DeeTV for the video. 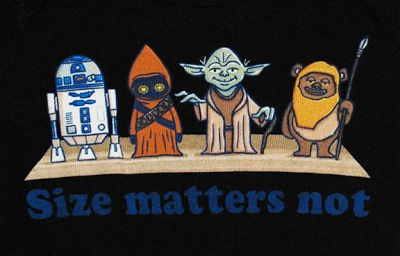 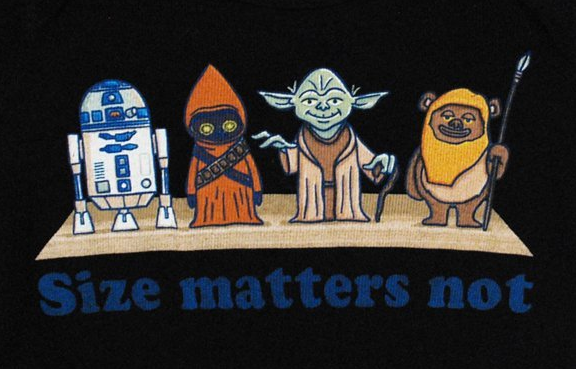 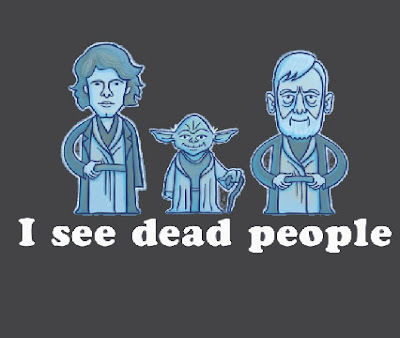 A Star Wars tee featuring the ghosts of Anakin Skywalker, Yoda and Obi Wan Kenobi. 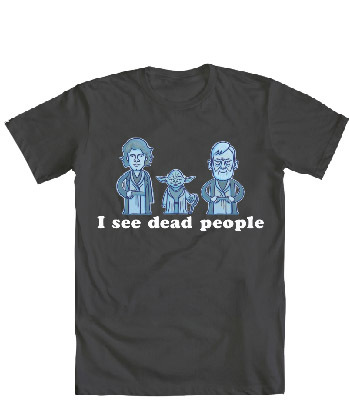 It has navigated the choppy waters of the Lucasarts approval process and is now available to buy here from We Love Fine. 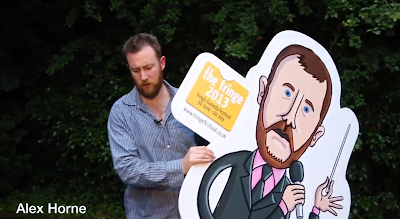 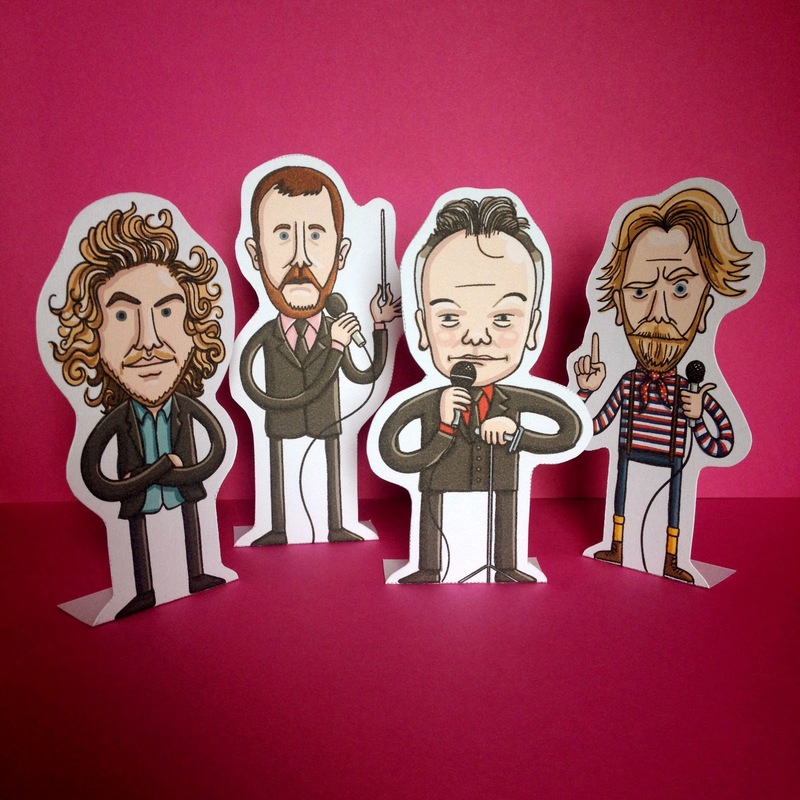 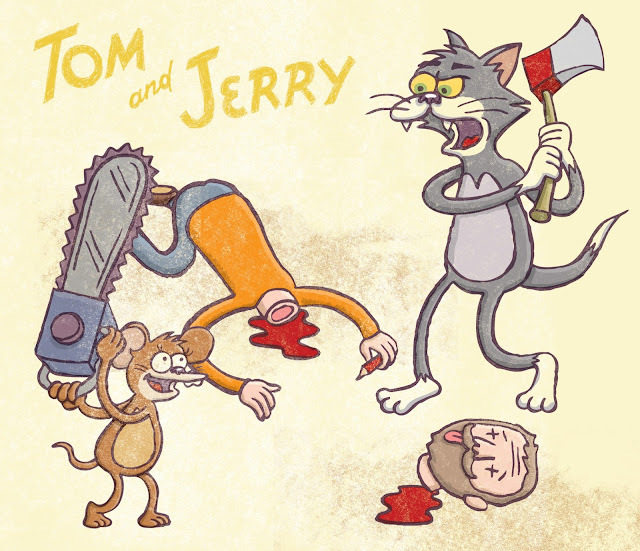 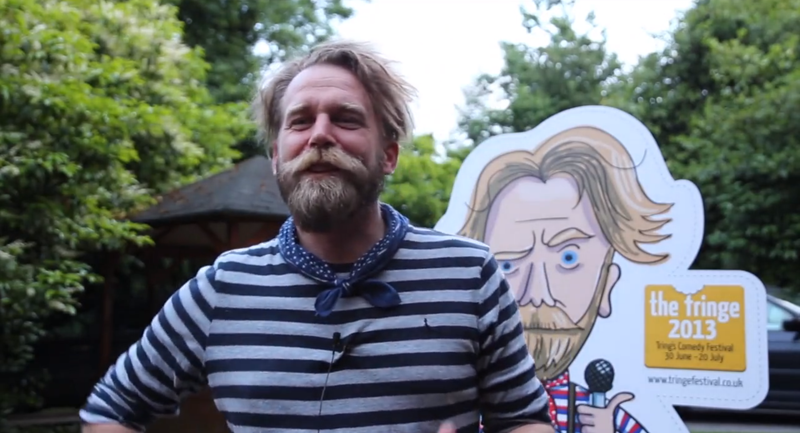 A fantastic week one video of the Tringe featuring, amongst others, comedians Alex Horne, Tony Law and Seann Walsh as they talk about the festival and my illustrations. 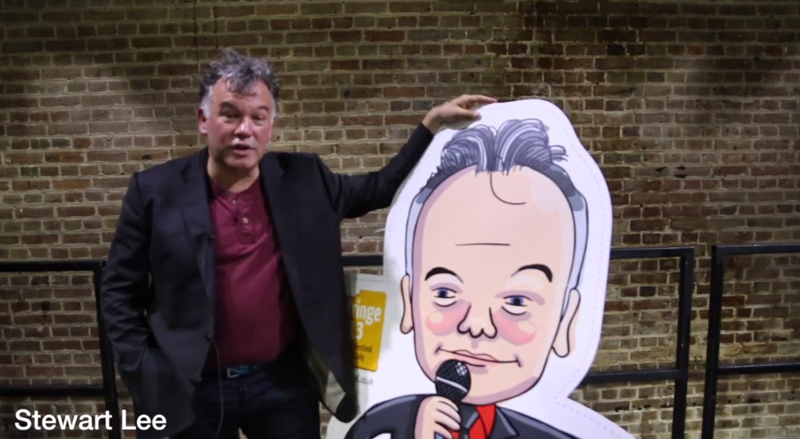 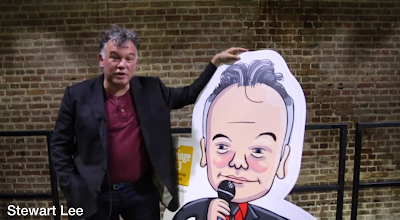 My favourite quote has to be this from Stewart Lee "It's a sort of Reed Richards haired, balding, alcoholic cheeked, middle aged man, the only thing that's improved here is I don't look quite so fat in this"
Thanks to DeeTV for the video can't wait to see the next two instalments! A mash up of three of my current favourite TV series, The Walking Dead, Breaking Bad and Mad Men. 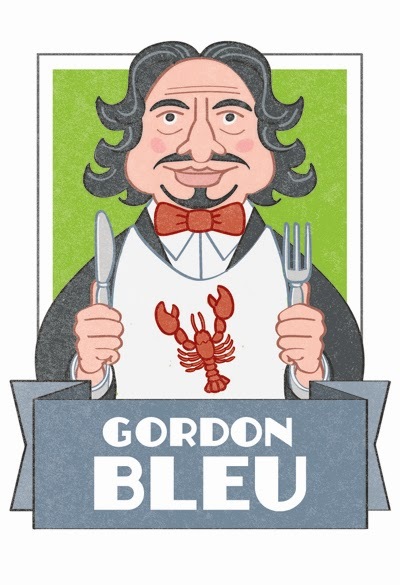 Created using Brushes on the iPad. 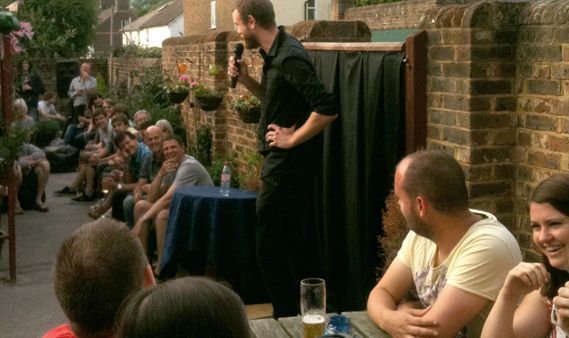 The Tringe Festival is the Hertfordshire town of Tring's annual comedy festival. Now in its fourth year, The Tringe features top acts, many from 'off the telly', previewing their shows before they take them up to the Edinburgh Fringe in August. 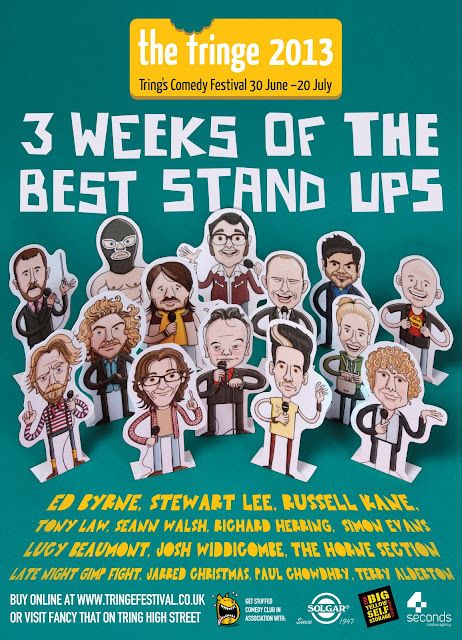 A couple of months ago, I was approached by Ben Moorhouse, the director of The Tringe, to come up with a concept to help promote the festival and being a fledgling comedian myself (I will be compering at one of the nights) I settled on the 'hilarious' idea of stand up stand-ups. 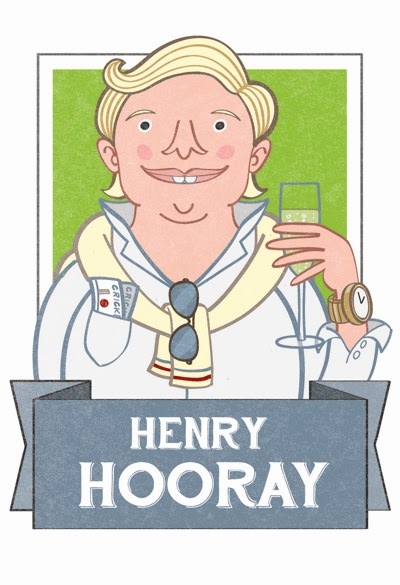 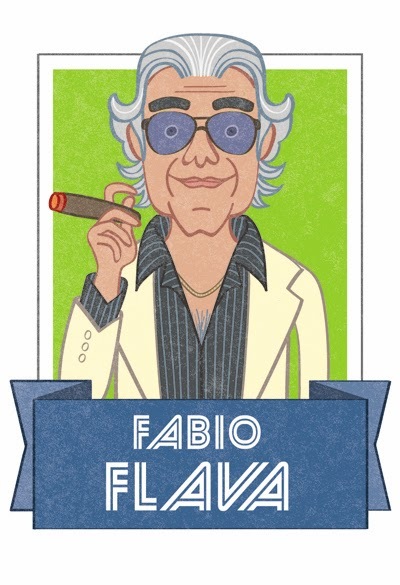 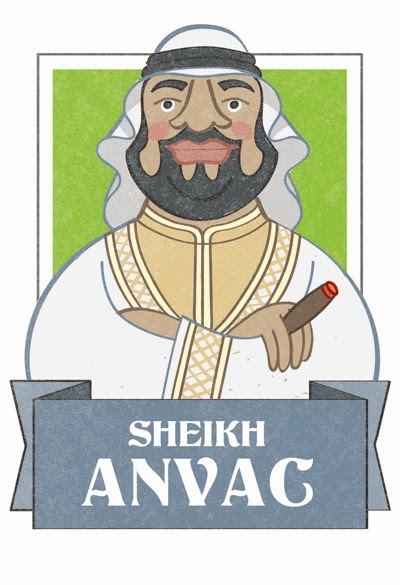 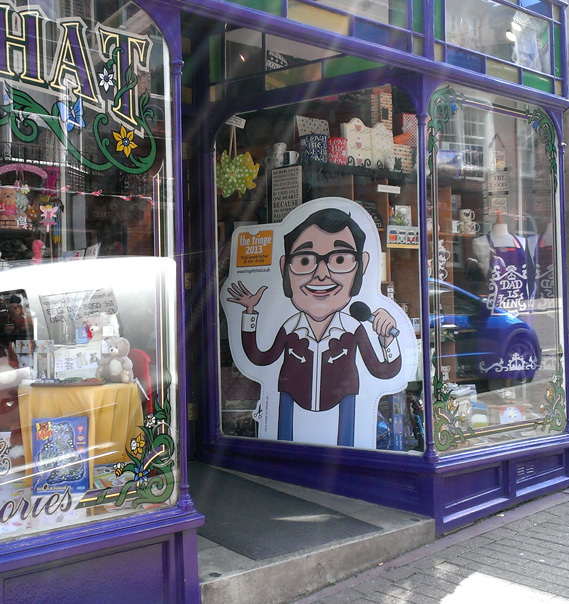 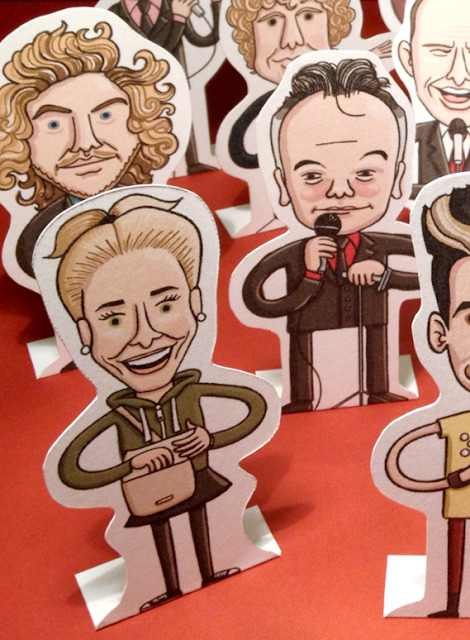 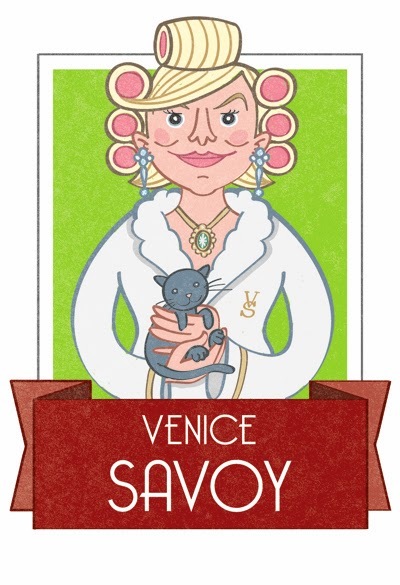 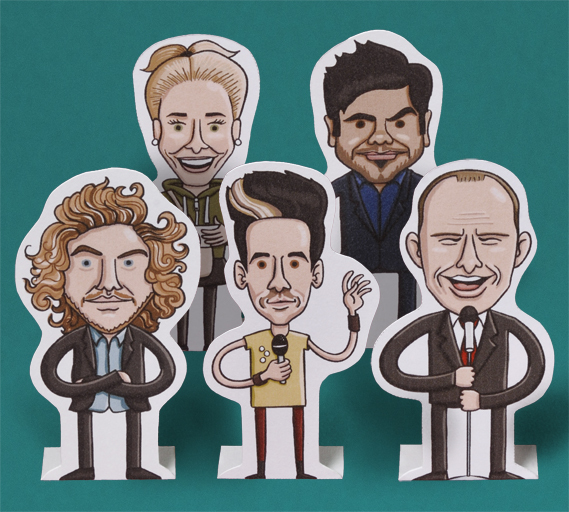 I set about illustrating 14 of the acts appearing, including Stewart Lee, Ed Byrne and Russell Kane and then created cut-out and crease-up versions of them. 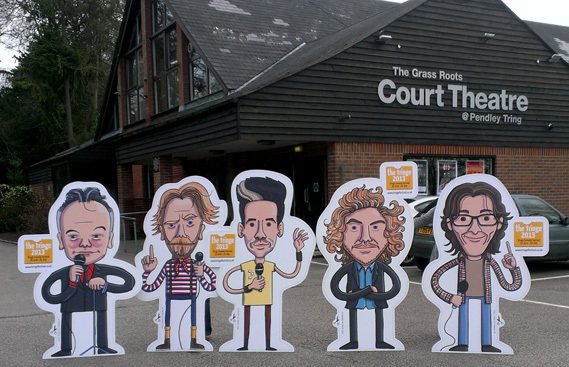 These stand ups were then photographed for promotional posters, banners and the event guides. 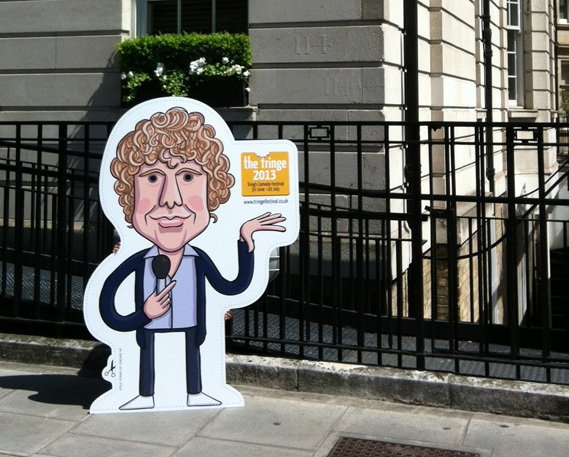 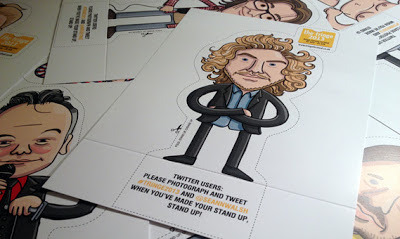 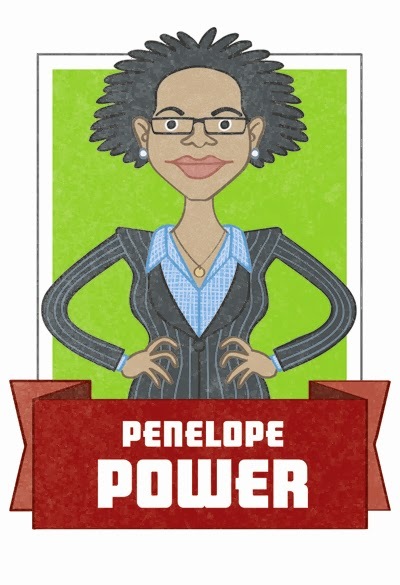 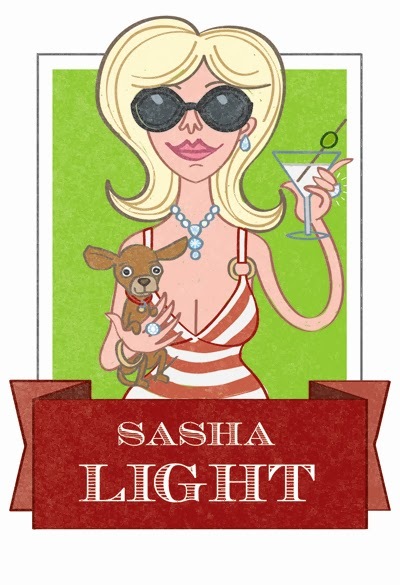 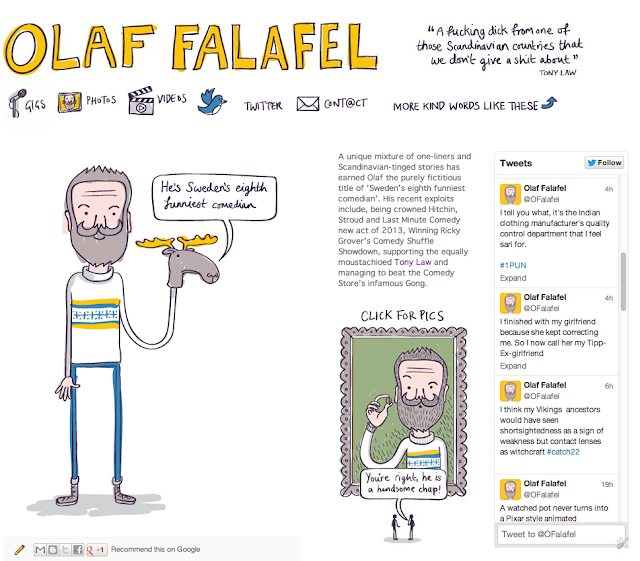 A5 versions of the stand ups that include the twitter handles of the featured comedians have been produced to encourage people to photograph the acts in funny settings and share online. Also large 'almost life-size if the comedians were freakishly disproportioned' stand ups were made and have been taking up residency in local shops, sporting events and museums (Tring is famous for it's Natural History museum featuring stuffed animals - Ed Byrne was lucky enough to take a tour). 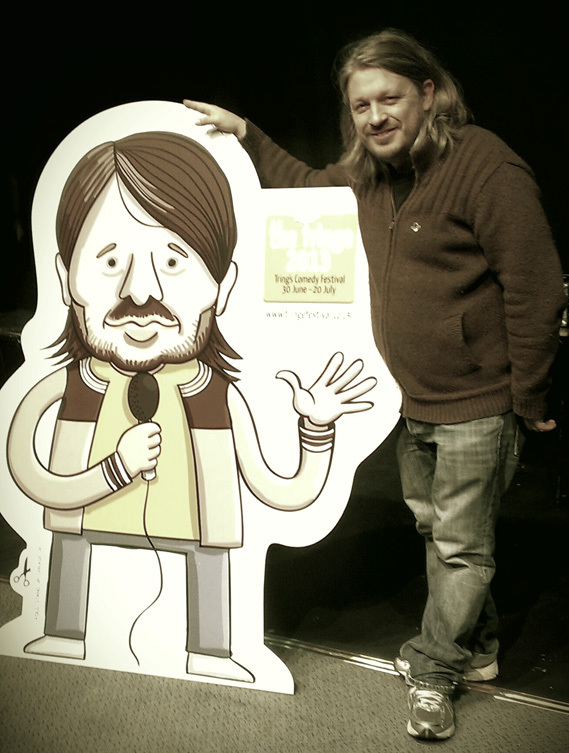 Some of the real life comedians have stopped by for a photo opportunity with their illustrated doubles including Richard Herring, Tony Law and Ed Byrne. 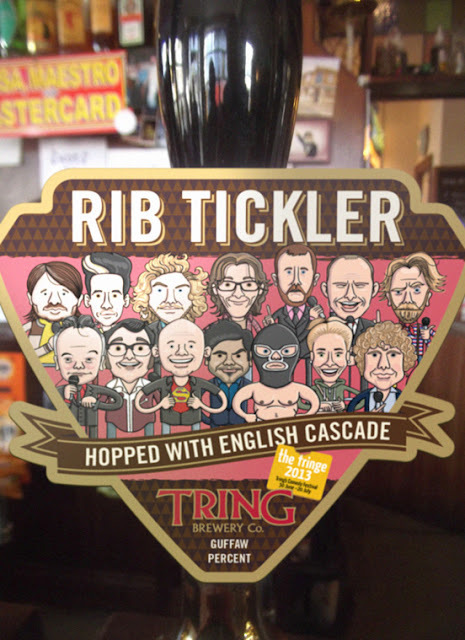 There has been lots of local involvement including Tring Brewery creating 'Rib Tickler' a custom comedy ale (guffaw percent alcohol!). 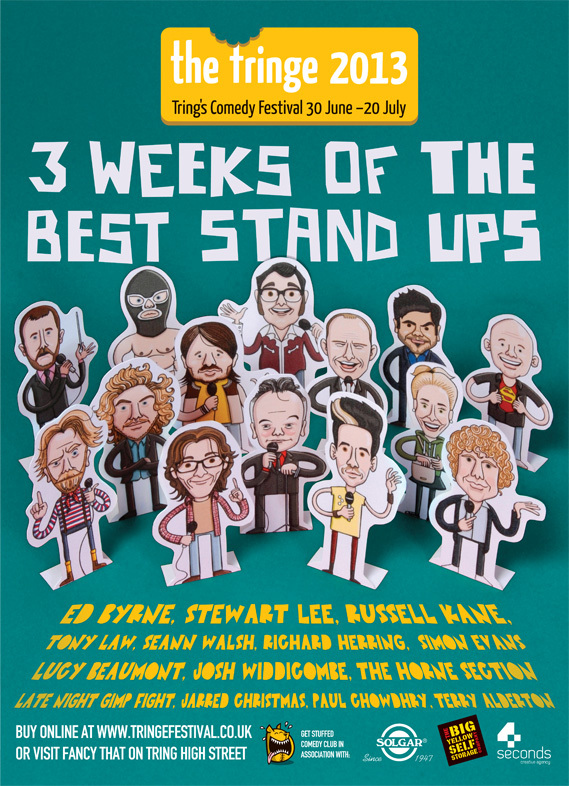 The results so far for the Festival have been great - the biggest pre-festival ticket sales to date with several of the 21 shows already sold out as I write this. 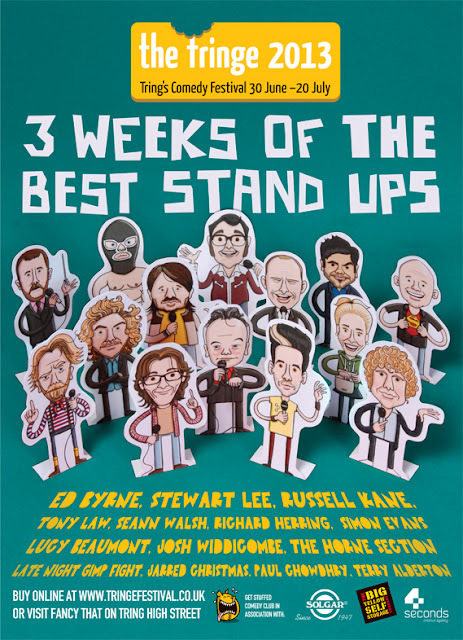 It all kicks off on Sunday 30th June and lasts for three whole weeks, the standard of the acts is of an unbelievable calibre for a town the size of Tring so do get along if you can. 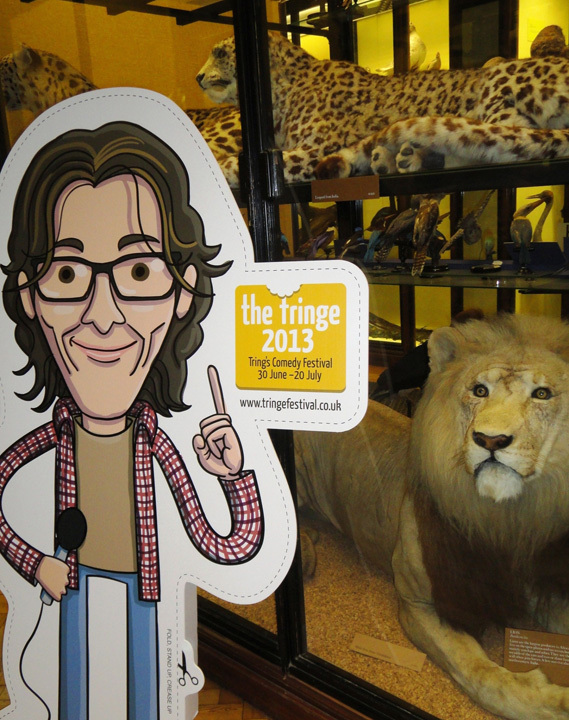 Full details are at the Tringe website www.tringefestival.co.uk. 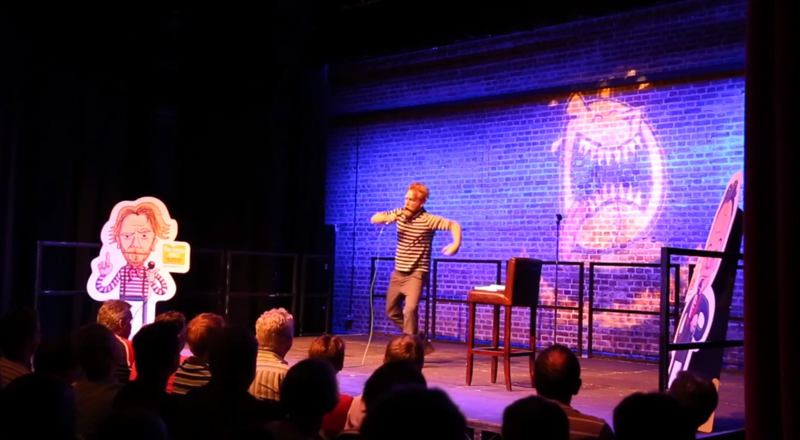 All in all, a really fun project that combines both work and pleasure (that's me below making them laugh at last year's Tringe). 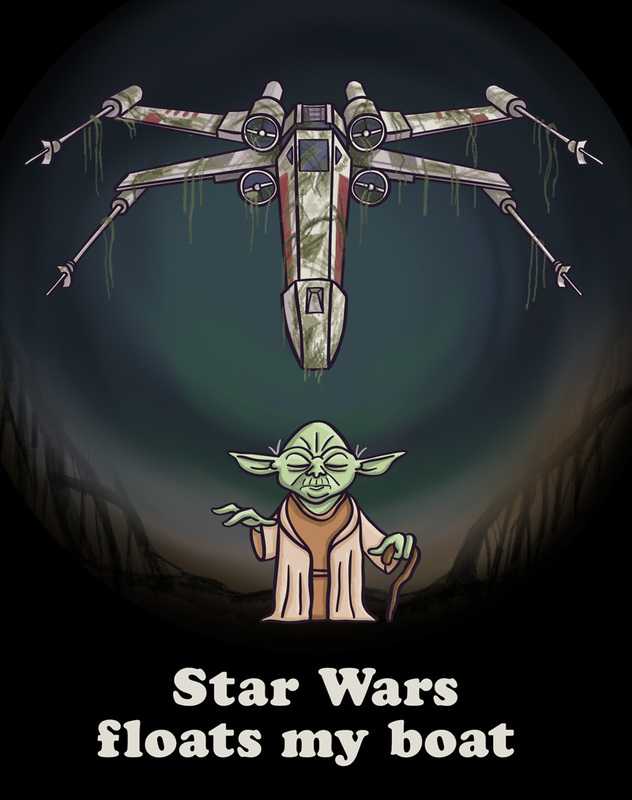 A few Star Wars illustrations for May the Fourth. 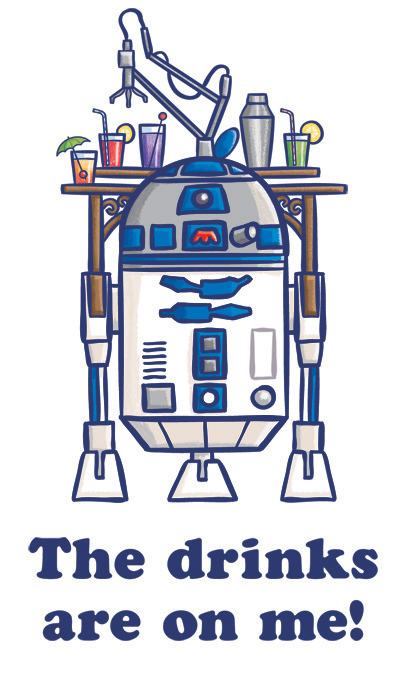 R2D2 from when he was converted into a mobile drinks dispenser by Jabba the Hutt and then Yoda using the force to raise Luke's swamped X-wing fighter on Dagobah - enjoy! 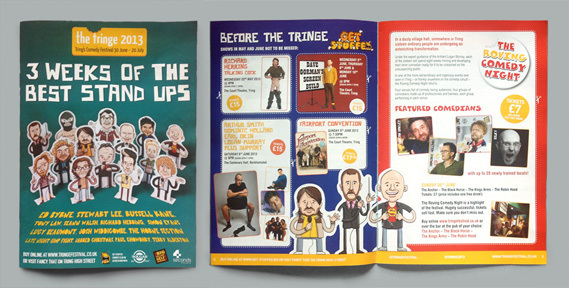 Here's the poster I've been working on for the 2013 Tringe Comedy Festival featuring a selection of stand up cardboard stand-ups. 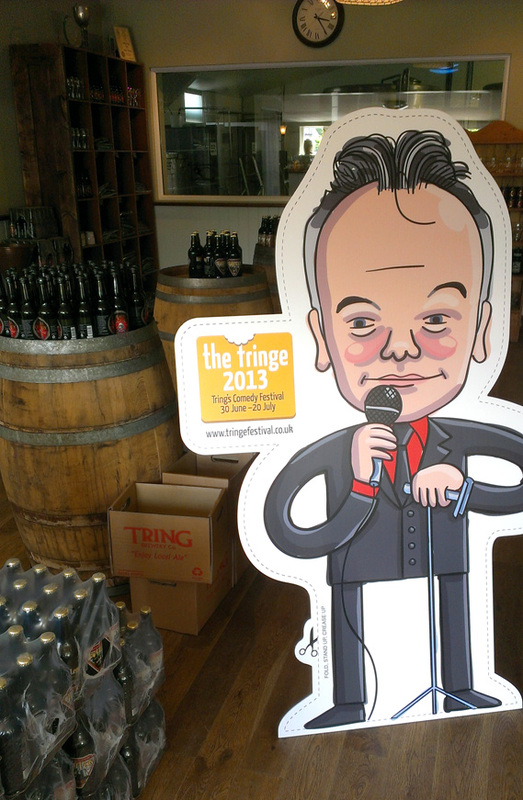 This year promises to be another cracker with some of the best comedians in the business sure to make festival-goers crease up – find out more about the Tringe here. A point for each one you can name: Work in progress stand up stand-ups for this years Tringe Comedy Festival. 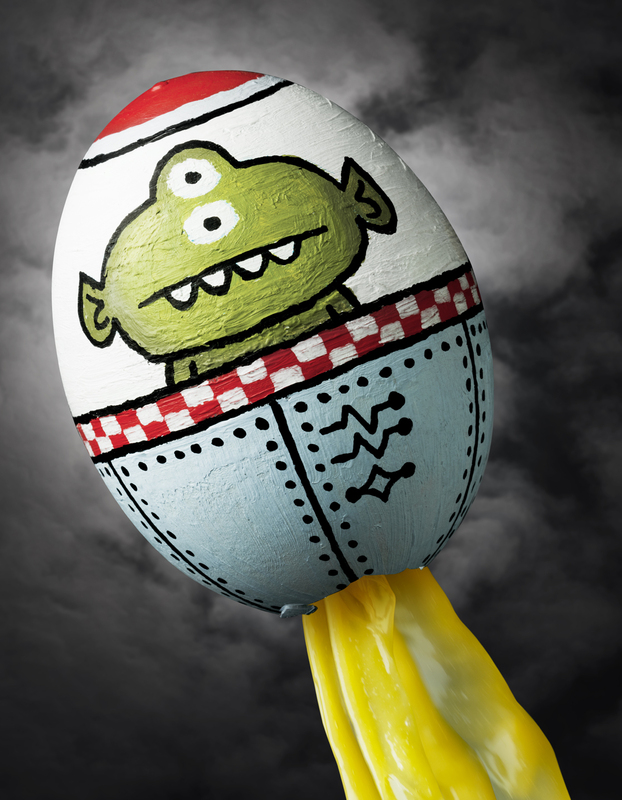 I recently gave some eggs a space rocket makeover as part of a self-promotional Easter image for photographer Jonathan Knowles. 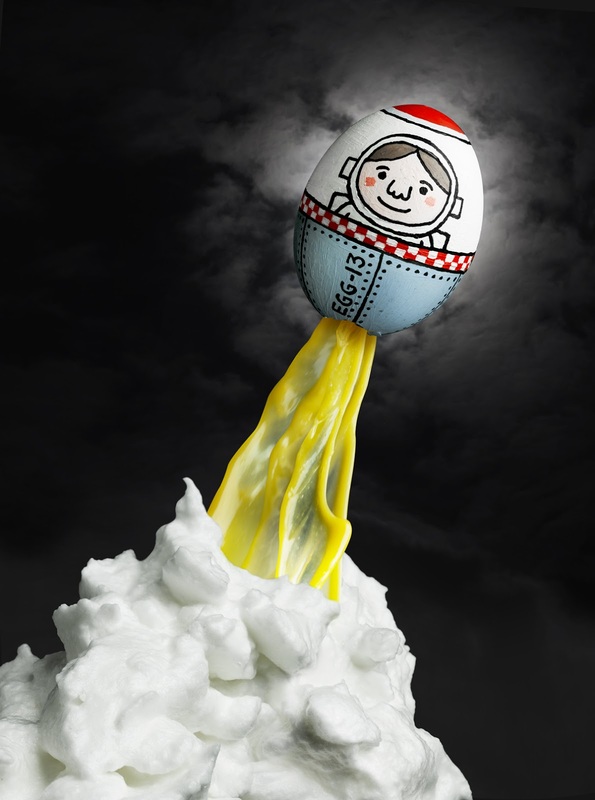 By all accounts Jonathan had a lot of fun in the studio creating egg yolk jet streams and whisking up some smoke from the egg whites.